Examples & Explanations: Property, Sixth Edition, is a study aid that offers clear textual introductions to legal terms and concepts in property law, followed by examples and explanations that test and apply the reader’s understanding of the material covered. Both authors have years of experience presenting material in a clear and compelling way. With its rich pedagogy that features boldfaced legal terms and visual aids, Examples & Explanations: Property, Sixth Edition, fills a niche that is distinct from other books. 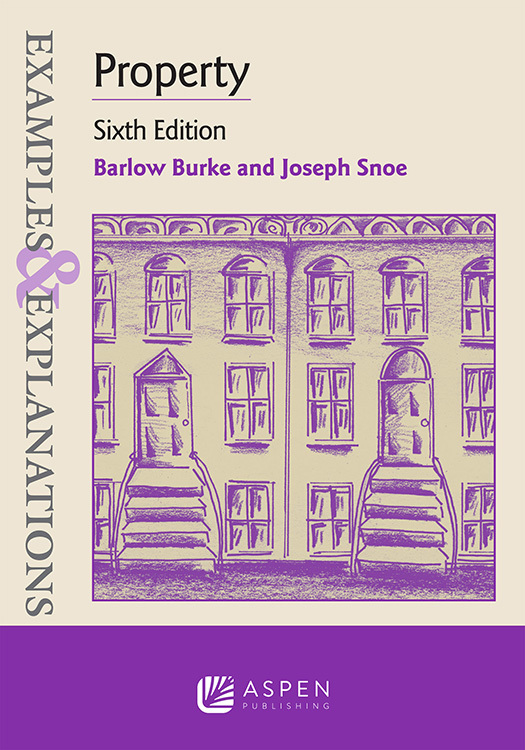 Using a six-part topical organization, accomplished authors Barlow Burke and Joseph Snoe ensure that the rules and doctrines making up the first-year course on the law of property are well covered.